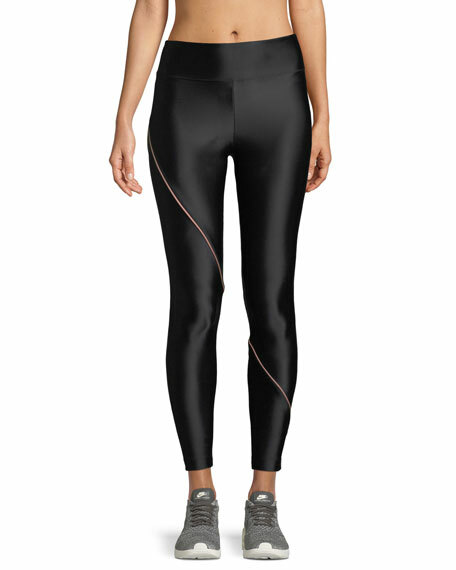 Koral Activewear "Street" high-performance leggings with contrast piping. For in-store inquiries, use sku #2537890. 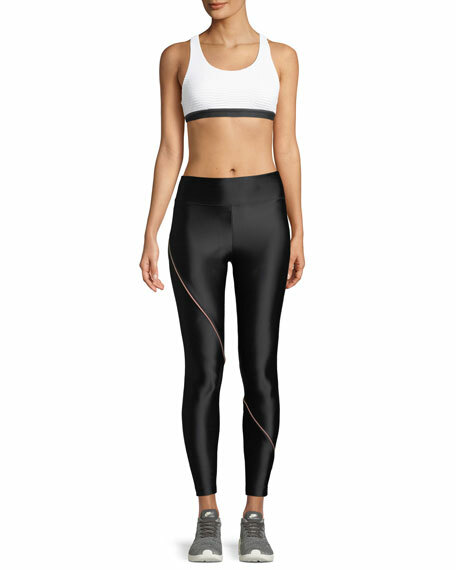 Koral Activewear "Aden" leggings in high-performance fabric. Signature Infinity technology; chlorine resistant, color absolute, & quick drying. Mid-rise; logo elastic waistband. Second-skin fit. Pull-on style. Full length. Nylon/Xtra Life Lycra spandex. Machine wash. Made in USA. 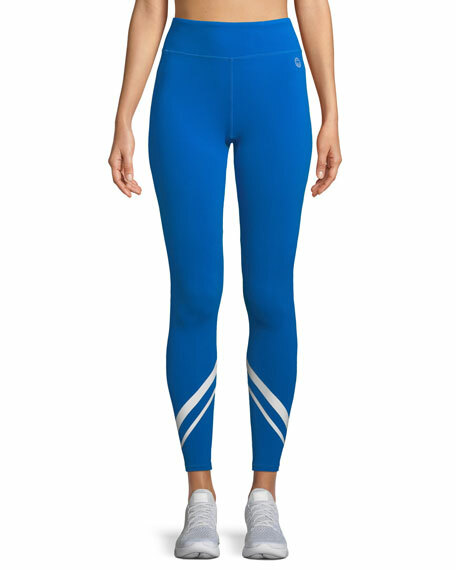 Tory Sport "Banner" leggings with contrast logo taping at sides. 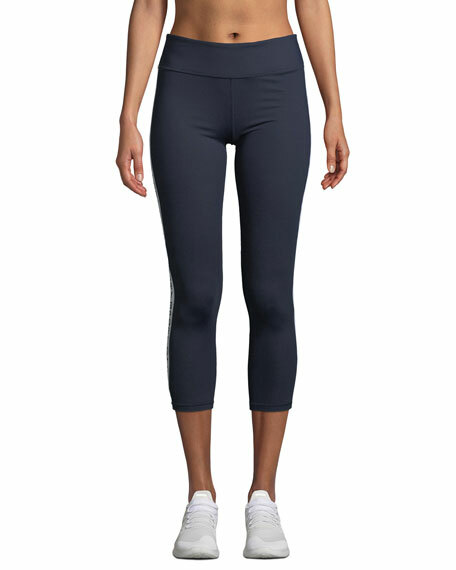 Breathable, moisture wicking, lightweight performance fabric. Interior waistband pocket; zip pocket at back. 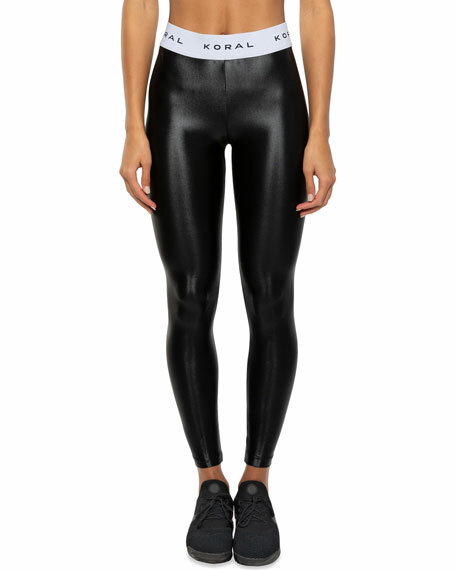 Mid-rise wide waistband. Second-skin fit. 7/8 length. Pull-on style. 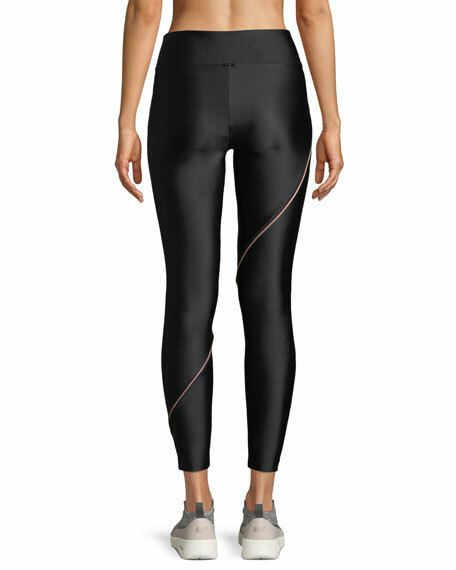 Lycra spandex/Tactel nylon. Imported.